– continuous distillation is prohibited in the production of Cognac spirit but generally used to make vodka and most whiskies. – double distillation in batches, also called “repasse”: This is the traditional and long-established Charentaise distillation method and is the mandatory technique for producing Cognac. 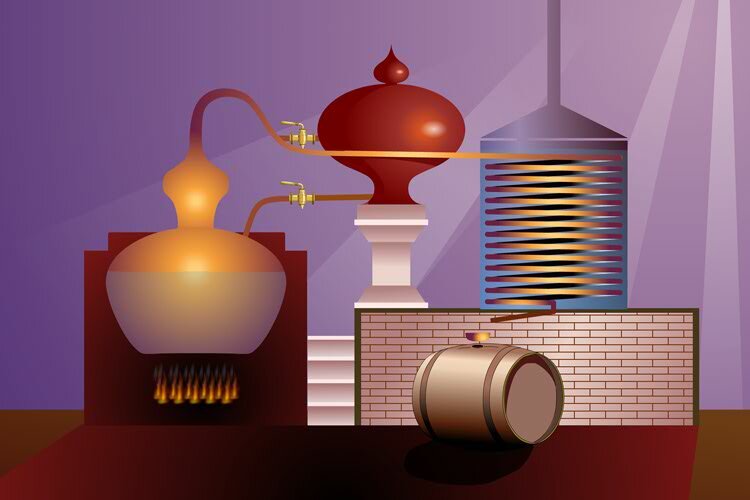 It is carried out in two successive “chauffes” (heatings) using a traditional “Charentais” still. 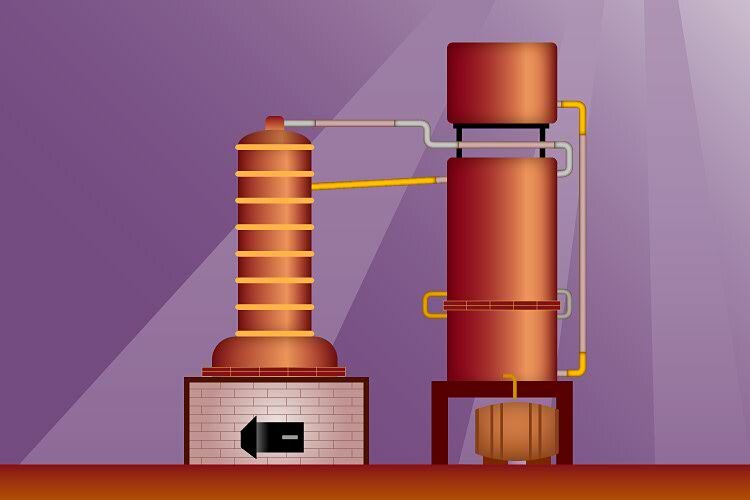 Double distillation results in an aromatic eau-de-vie, unlike continuous distillation in column stills, which aims to produce a more neutral eau-de-vie. 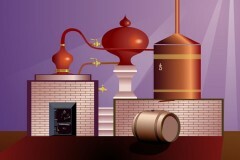 The heating method, heating time and shape of the equipment, all have an effect on the quality of an eau-de-vie. 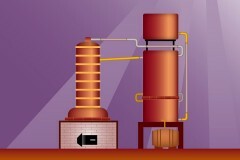 The shape of the equipment helps filter the volatile substances.